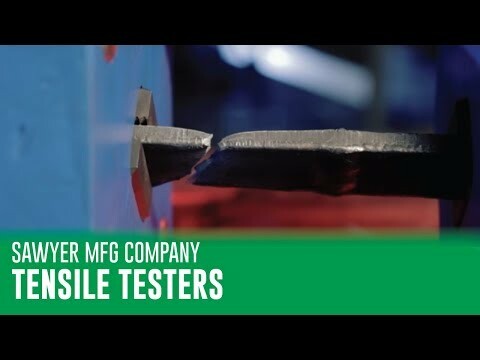 Sawyer’s line of weld test equipment is known for durability and reliability, and the Guided 25 Ton iron horse tester is absolutely bullet proof. Offering improved plating and powder coating for corrosion resistance, it will stand the test of time. With a high level indicator gauge, two speed manual pump, pulling jaws, carrying case, and .375 (3/8”) ASME die and plunger set that comes standard, this piece of portable destructive weld testing equipment offers the ability to safely perform guided bend and pull testing with a high level of mobility and versatility.